This animation features a modified Lionel shed that includes interior lighting and shop detail. 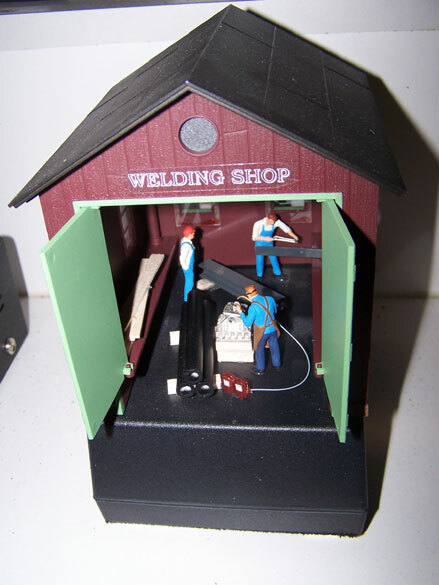 The welder is arc welding inside the shed on a bridge pier. This animation uses a new extremely realistic, electronic, flashing white LED welding arc. Real smoke rises from the "cutting" area. Includes actual random welding sounds. Adjustable volume. Includes smoke and wiring diagram. Fully landscaped as shown.